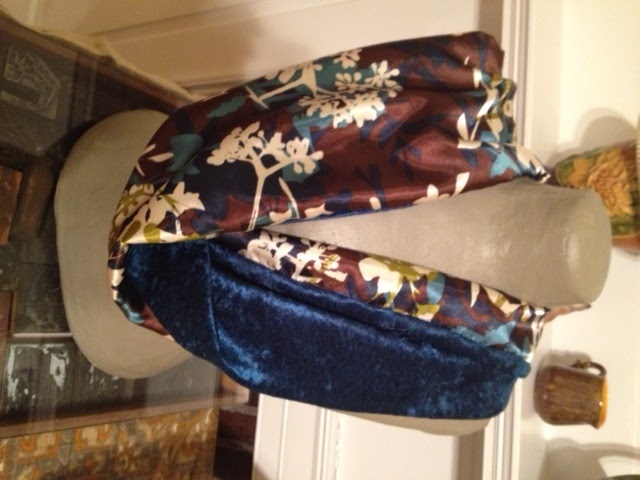 I feel so lucky to have discovered Trail Pixie Studios....a gorgeous line of infinity scarves hand-made by the very talented Emily Trespass. 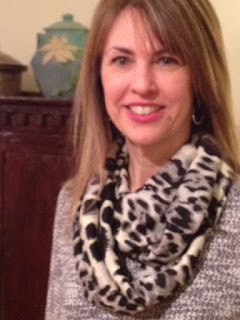 The collection is amazing--each scarf is truly a work of art and so affordable with most ranging from just $25-$34.00 and custom one-of-a-kind scarves around $48.00. 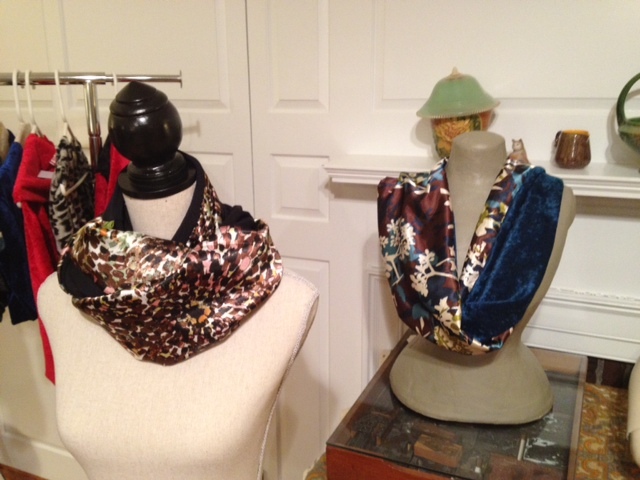 I had so much fun trying all the scarves on----which one do you think I ended up with? 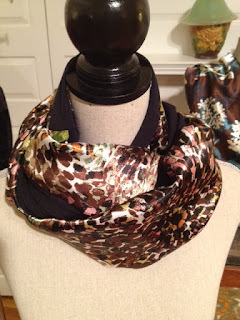 So easy to wear--no tying necessary! I chose this one...can't wait to wear it! Get Ready for Resort Wear!